Helen went through her share of pain and turmoil before she found a loving husband in Salim Khan and a doting family in his children. Everyone, including Salman Khan, showers love and affection on this amazing woman, who gave to Indian cinema the sizzle of the cabaret without ever seeming vulgar. As she turns 80 on November 21, Subhash K Jha brings you seven facts about Bollywood's original dancing diva! IMAGE: Helen in the song Piya tu ab toh aaja from Caravan. In the 1960s and early 1970s, Helen's elaborate costumes and graceful dance moves gave Asha Bhosle's numbers like Piya tu ab toh aaja (Caravan), Kar le pyar kar le (Talaash), Aao na gale lagao na (Mere Jeevan Saathi) and Yeh mera dil pyar ka diwana (Don) the kind of elasticity no other dancer in Hindi cinema has ever achieved. Even though she is known for her omphy dance numbers, Helen is very shy and demure in real life. Her cabaret numbers never had any skin show. Those tantalizing 'bare' legs sticking out of those sequined skirts -- or any other exposed parts of her body -- were covered with stockings. IMAGE: Helen in the song Aashiq hoon ek mahjabeen ka from Pagla Kahin Ka. Helen knew how to act as well. Her performances in Pagla Kahin Ka (where, in a rare role reversal, she sat and watched Madhumati do a cabaret), Talaash and Lahu Ke Do Rang proved that she was an actress of worth. IMAGE: Helen on the poster Imaan Dharam along with Shashi Kapoor, Amitabh Bachchan and Rekha. 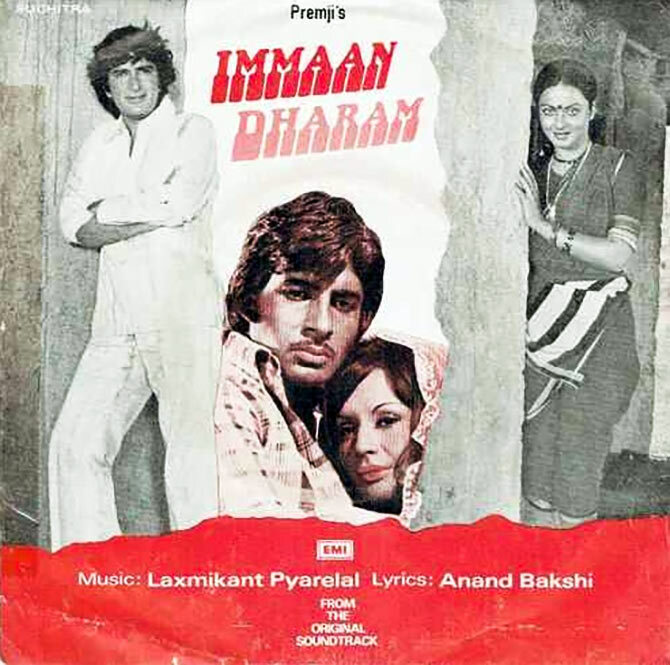 In 1977's Imaan Dharam, co-scripted by her husband Salim Khan, she was cast as one of the leading ladies opposite Amitabh Bachchan. Sadly, the film bombed, else it could have given Helen's career a different trajectory. IMAGE: Salman Khan and Helen in Hum Dil De Chuke Sanam. Helen has shared screen space with her son Salman Khan twice -- in Sanjay Leela Bhansali's Hum Dil De Chuke Sanam and Atul Agnihotri's Dil Ne Jise Apna Kahaa. IMAGE: Helen in the song Aa jaan-e-jaan from Inteqaam. Though Asha Bhosle was always the crooning glory of Helen's dances, the actress was very fond of Lata Mangeshkar and her voice. In fact, her favourite cabaret is sung by Lataji: Inteqaam's Aa jaan-e-jaan (1969). Today, Helen lives a life of blissful retirement. 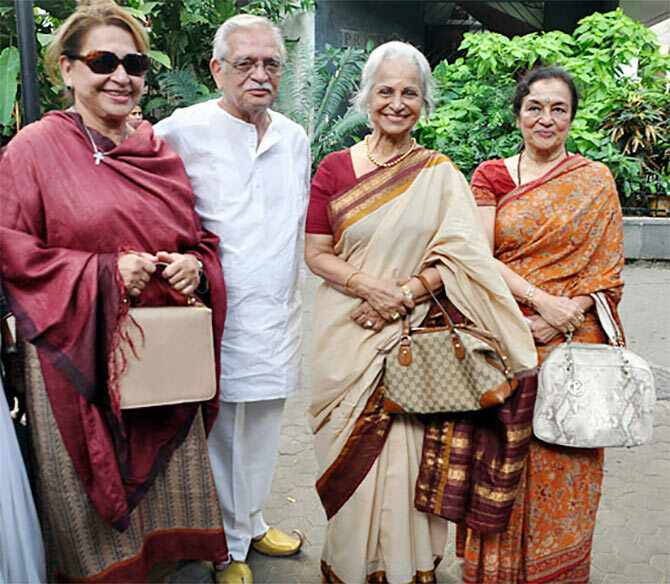 She watches movies and goes out dinners with her closest friends, Waheeda Rehman and Asha Parekh.